Poland’s relationship with coffee is a wildly surprising one. Not only are European café culture’s roots mixed up in it, but at some point the black stuff was replaced with acorns. Sounds devilish? That’s what many Poles thought. Time to put a pot on and drink in Culture.pl’s heady brew of coffee history. One on the first coffee amateurs in Poland was King Jan III Sobieski. Legend has it that hundreds of big sacks full of coffee beans were saved by Jerzy Franciszek Kulczycki during the Siege of Vienna in 1683. Initially, coffee beans were purchased from the heretics in Turkey and imported to Poland. The drink was considered very suspicious. Some even claimed that coffee was a devilish beverage – its dark colour was supposedly confirmation. Besides, the question was raised whether coffee, like chocolate, could be consumed during the old Polish Lent. Jan Andrzej Morsztyn put it bluntly – coffee ‘is a devilish drink which twists the Christian face’. In Malta, I recall, we tasted kahva, [….] a Turkish drink, a hideous beverage like deadly poison or venom, which lets no saliva through your teeth; a Christian mouth it shall not contaminate. But attitudes towards coffee began to change when it started to be imported to Poland from the Netherlands. The first Polish monograph on coffee was published in the 18th century. Its author, Tadeusz Krusiński, a Jesuit, orientalist and scientist of world renown and a lover of coffee with myrrh, was a missionary for many years. He put his observations on Turkish coffee customs in a long-forgotten book entitled Pragmatographia de Legitymo Usu Ambrozyi Tureckiei (The Proper Way of Taking Turkish Coffee). The book was published in Warsaw by Józef Minasowicz – another coffee lover. 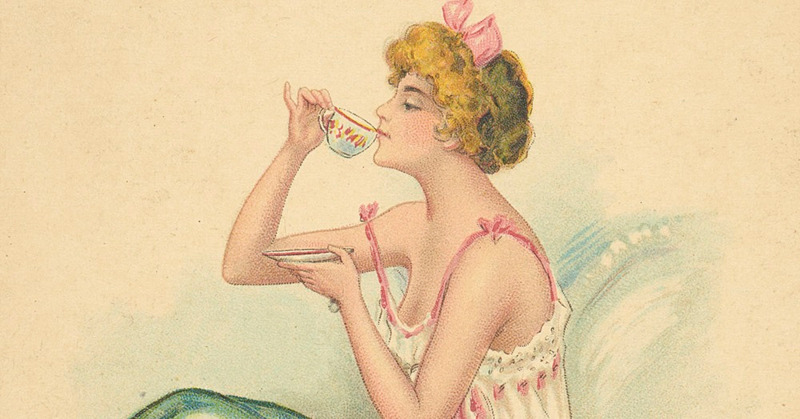 It was addressed not only to wise male readers who liked coffee but also to ‘gracious female readers’, namely ladies who thus far used to start their day with beer soup. Krusiński’s voice in the discourse about coffee’s place on Polish tables was important since the drink’s opponents at the time were plentiful. The traditionalists dreaded new customs and free thought. It’s enough to mention Adam Naruszewicz who condemned café frequenters – and in the 18th century, it was progressive circles that enjoyed the black drink in cafés. Krusiński’s book described the effects of coffee on the human body and formulated the principles of coffee brewing. It also limned the extensive taste variations of coffee, the ways it could be roasted (‘if over-roasted, it will increase bile production, and if under-roasted, it will taste bitter’), and how to serve it. What’s more important, it highlighted the culture-making function of coffee. 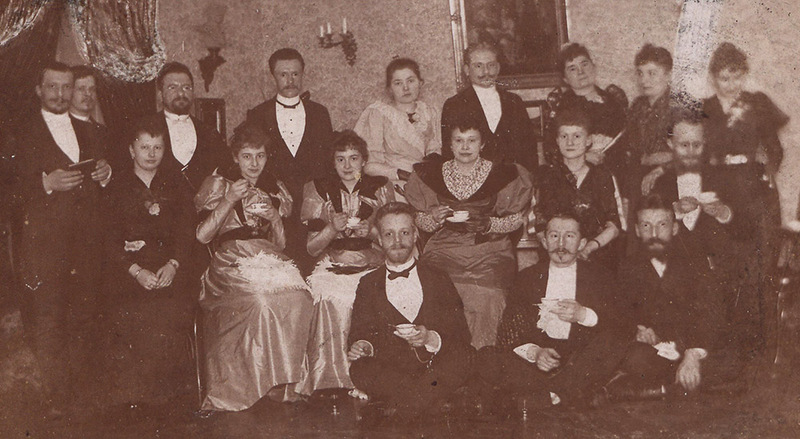 Coffee was served to guests and envoys; all social spheres drank it, regardless of their financial status. Some tips given by Krusiński remain valid today and have been transplanted to Polish soil – for example, the one about drinking coffee before going to sleep and by kids. Others failed to survive the test of time, like the 18th-century advice that an overly foamy coffee should be settled with grated deer horn powder. Minasowicz, the publisher of Krusiński’s book, was also an advocate of coffee drinking in Poland. A collaborator of the liberal Monitor (founded by Ignacy Krasicki, upon the initiative and with support from King Stanisław August Poniatowski), Minasowicz published several works promoting both coffee and its drinking culture. The growing popularity of the ‘Turkish renegade’ (another 18th-century term used for coffee) brought one more significant change, pointed out by coffee advocates, namely that coffee ‘did not increase the population of boozers’. Essentially, its growing popularity had reduced the consumption of alcohol among the gentry and rich townspeople: ‘even though addictive, like alcohol, coffee does not adversely affect one’s brain’. One was even advised to ask for coffee if one didn’t want to have another vodka shot or glass of wine after dinner when offered by the host. The most popular type of coffee at the time was Turkish de mocca. It was imported via Gdańsk and Królewiec. If not available there, coffee was brought to Poland from the Levant, French Martinique and Dutch East Indies. Rejoice vodka selling establishments and loudly applaud, and you mourn cafes that is Kaffenhäuser; Mind you, when you’re told to say good-bye to coffee (thinking of it with no scant attention) you’ll be forced to say hello to booze. Coffee ‘the Polish way’ was meant to be strong and clear. It became a Polish custom to serve it in a different manner than in the East, namely with milk, or better, with heavy cream: ‘Achilles and Caesar – they were great men. However, coffee with cream they did not drink’, noted Ignacy Krasicki. Also, Reverend Jan Kitowicz in his Opis Obyczajów (editor’s translation: Description of Customs) points out that ‘coffee spread among well-to-do burghers and gentry’. The first cup was consumed in the morning, still in bed, with sugar and milk or, more willingly, with full-fat cream. Later in the day – after lunch and dinner – more cups would be drunk. Who enjoyed this ‘most favourite’ beverage? First of all women: ‘both in the morning and after lunch and dinner, especially when in company or when dancing long into the night’. This was perceived as a positive civilisational change. Earlier, women would start their day with beer soup, as mentioned above, with added wine, sugar and cinnamon. Then they went to the medicine closet and ‘had some vodka to take away the bland taste of the beer soup’. In effect they took to the bottle and ‘changed into all kinds of harpies, chimeras and fiery alcoholics’. As noted by Jan Kitowicz, coffee spread from the wealthy to ‘the hoi polloi, and coffee houses emerged in towns; shoemakers, tailors, market wives, porters and the poorest mob, they all wanted coffee’. In wealthier households, coffee spending sometime amounted to as much as a quarter of what was spent on alcohol. Over a decade, the demand for coffee increased several times over. Poorer people also drank coffee, though it was not always made 100% from coffee beans. There were various substitutes. The taste of coffee was imitated by roasted wheat or peas, as ‘people crave coffee and a household without it is perceived as crude and thrifty; besides coffee is addictive, just like vodka or tobacco’, as the author of Opis Obyczajów wrote. The idea of adding various roasted products to coffee probably came to Poland via Prussia where, amongst other things, dried and ground chicory root was added to coffee beans. Calendars and household guides in the 18th-century presented many recipes for ‘coffee-like’ beverages. Following the 1795 Polish translation of the famous book about coffee by a French scientist Pierre Buchoz, Dissertations sur l’utilite, et le bons et mauvais effets du tabac, du café, du cacao et du thé (A Concise Book on Coffee, its Nature and Effects on Human Health), let’s mention just some of these coffee-like beverages: coffee made of roasted rye, chicory roots, broad beans, potatoes, sweet potatoes, linden seeds, and even acorns. The latter are also mentioned by the author of Przepisy Rolnictwa i Ogrodnictwa (Recipes of Horticulture and Agriculture) from 1796. The acorn drink resembles coffee in taste, ‘just adding some good cream is required, as the drink is extremely dark’. In the 19th century, adding alcohol to coffee was a normal practice, especially in taverns. At the time, breakfast always started with a freshly brewed coffee, regardless of the region. In the morning it was brought by servants, right to the beds of their masters. Coffee was also drunk later in the day, in particular after afternoon high tea. Wealthy land owners used to employ qualified servants whose task was just to make coffee. The importance of coffee and having a coffee-making lady was so great that Adam Mickiewicz wrote extensively about them in Pan Tadeusz, Book II. Frequently, however, coffee was brewed without any special equipment. On the contrary, ground coffee was placed in a simple sieve and then covered with boiling water. The final product was not too aromatic. Coffee grounds would get between one’s teeth and the drink didn’t have the proper taste. With time, coffee-making machines from Carlsbad were recommended. These consisted of two parts: a container for ready-made coffee and a dish with a fine sieve at the bottom. Curiously, in the 19th century, coffee was usually roasted at home in special machines. This was because raw, not roasted, coffee beans were what were commonly sold until the end of the 19th century. That’s also the reason why cafés (called originally kafehauze) enjoyed such popularity. At the beginning of the 18th century, Antoni Momber opened a café in Gdańsk, which later became very famous. In 1724, Henri Duval, a Frenchman, opened a café in Warsaw. In the mid 19th century, there were around 180 cafés functioning in the capital and over 50 in Kraków. During the German occupation in WWII, the Poles could only dream of real coffee. 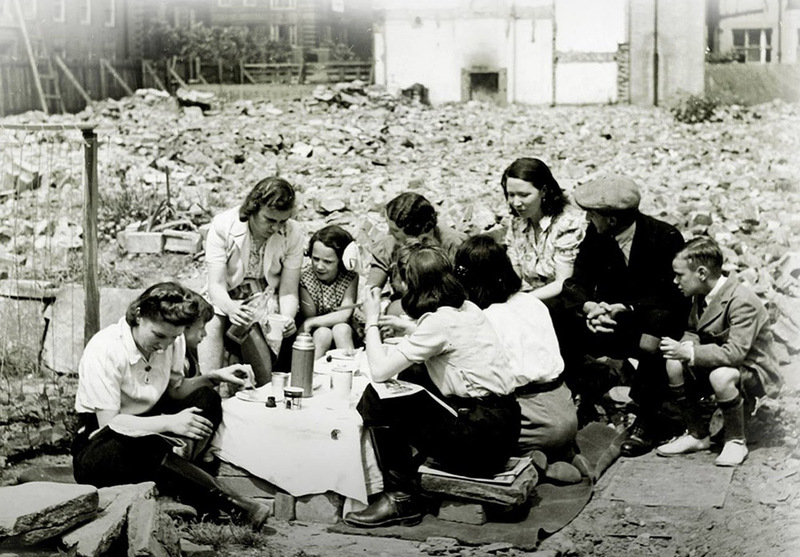 The occupation’s reality forced housewives to use their wits and search for ersatz coffee. In her book Okupacja od Kuchni (Occupation Seen from the Kitchen), Aleksandra Zapruko-Janicka describes how coffee was made from acorns gathered in the forest. First, acorns were unshelled, sliced and soaked in water for several days. When the colour of the water disappeared and all the tannin ‘came off’ the acorns, the acorns were funnelled out into a baking tray covered with paper and dried in the oven. Then they were put through a grinder and the powder obtained was roasted in a pan, all before boiling water was poured over it, just like with coffee. The taste of such a drink was similar to coffee, but with a nutty tang – it was ‘quite acceptable’. A coffee substitute was also made from ordinary carrot root. Just like coffee made from chicory, rye or acorns, the roots of Poland’s most popular vegetable had to be roasted in a proper manner and comminuted. During the communist regime era, coffee was not only a synonym of luxury and difficult to get, but it was also a kind of ‘substitute currency’, working miracles in hospitals or offices. Most people drank grain coffee or poor quality coffee called plujka. It was made ‘the Turkish way’, meaning boiling water poured over the grounds. It was served in glasses with metal handles – at homes, offices or restaurants. However, in the 1950s, sitting over just a glass of coffee and a cigarette for hours was forbidden in many establishments. People were forced to order a bite to eat with their coffee to make it legal, usually a wuzetka (cream filled chocolate cake) or kremówka (filo pastry with vanilla custard and cream). After the 1989 Transformation, Poles went through the so-called first and second waves of coffee very fast. Ika Graboń – a sensorist and juror, who recently published the book Kawa (Coffee) – underlines that the third wave of coffee we are currently witnessing is aimed at looking after the sources of coffee in order to create the most authentic drink. Coffee-making, it seems, is experiencing a new renaissance in Poland today.